Classically-trained Western musicians like the Kronos Quartet are schooled in centuries-old tradition. 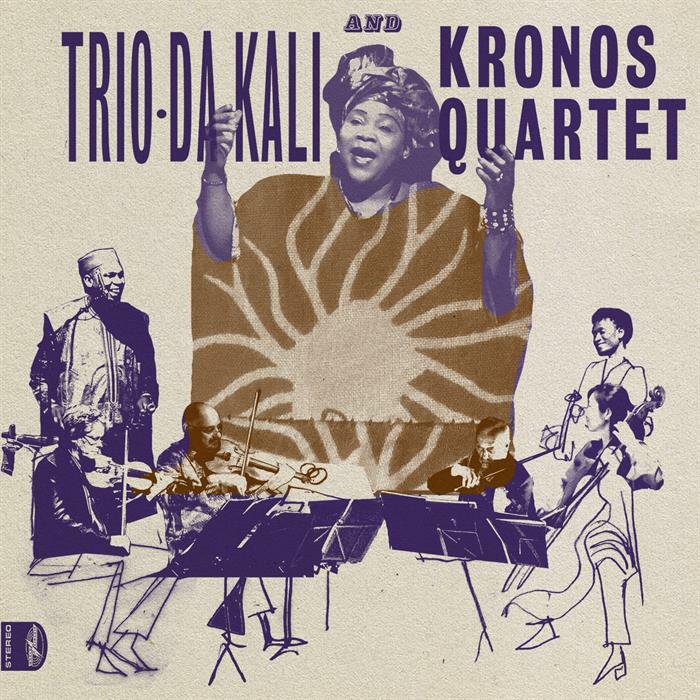 Mande musicians like Trio Da Kali are heirs to a practice that dates back to Europe’s medieval period; this album’s track 10, the story of the Malian empire’s founding, is about 800 years old. This wonderful session brings these two parallel traditions together. Kronos, one of the world’s great collaborators with several outstanding African music projects under its belt, needs no introduction. Da Kali is a griot super-group of singer Hawa Diabate (daughter of the legendary Kasse Mady), balafonist Lassana Diabate (of the Symmetric Orchestra, perhaps contemporary Mali’s most remarkable band) and ngoni player Mamadou Kouyate (son of Bassekou, who revolutionized the instrument). 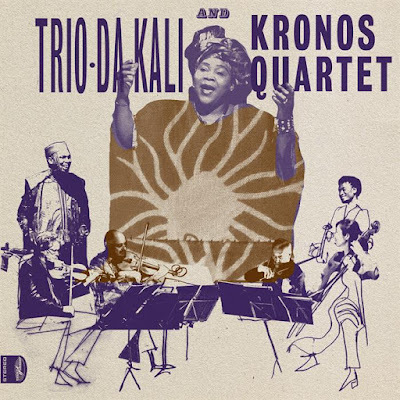 All three shine throughout this recording; Kronos mainly provides sympathetic accompaniment to Hawa’s powerful voice, Lassana’s quicksilver runs and the insistent pulse of Mamadou’s bass ngoni. Most of the material is Mande standards, but take note of 9, a radical re-reading of a Mahalia Jackson gospel classic. 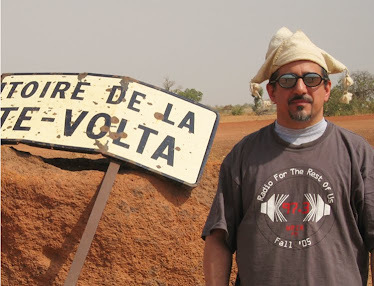 This is the West African tradition at its highest level, the world’s oldest soul music.